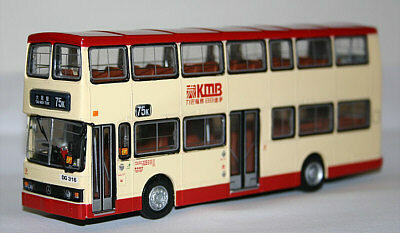 The model - the third release of this casting was announced in November 2008. 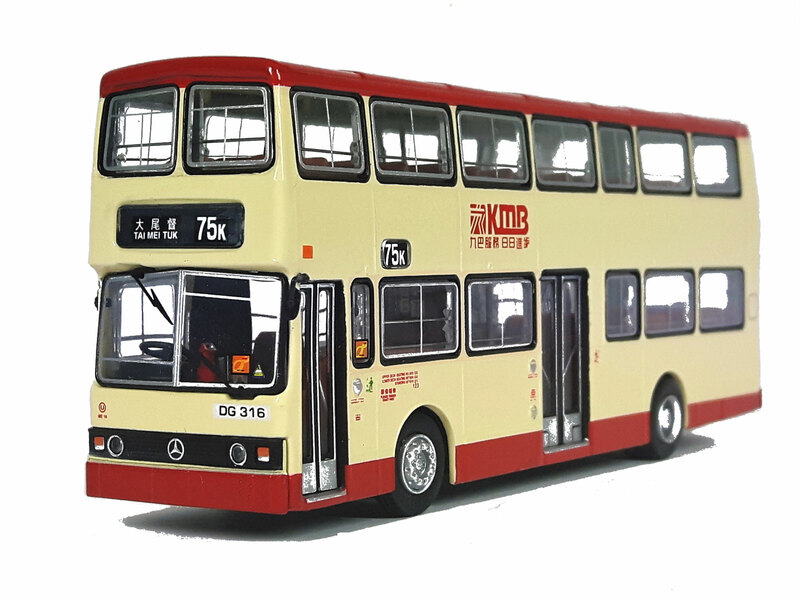 Further details appeared on 19th December in KMB's on-line magazine 'KMB Today'. 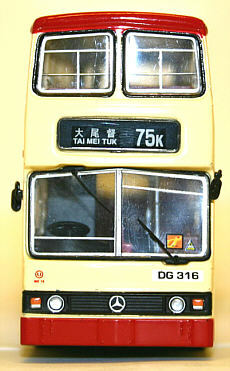 The model was released in Hong Kong on Saturday, 10th January. 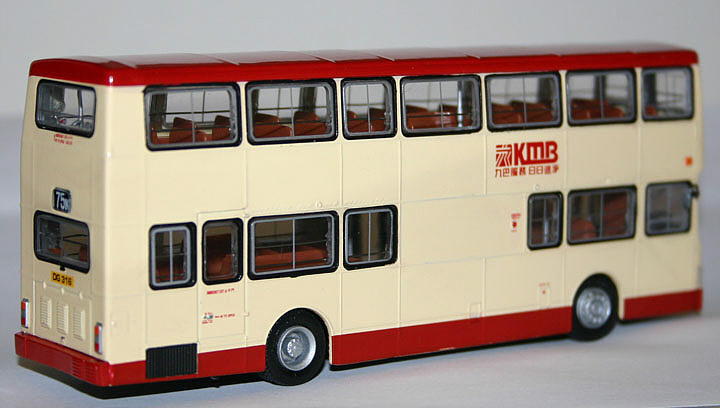 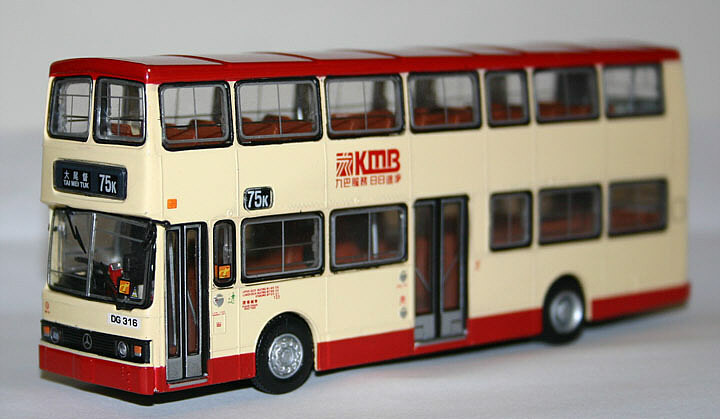 The bus - ME16 was one of a batch of 40 such buses ordered by KMB and which entered service in 1985, after successful trials with the prototype in 1983. 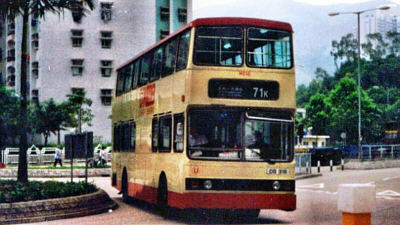 These were the first franchised buses manufactured outside of the United Kingdom/the Commonwealth to be granted permission to operate in Hong Kong. All were were withdrawn in 2001/2002 and subsequently scrapped, except three, which have been preserved by enthusiasts in Hong Kong.